Hydrate, soothe and prime your skin with this Lavender peptide serum from Nourish. Made with super-hydrating hyluronic acid and protective plant actives, this non-greasy serum helps to minimise redness and leaves skin feeling visibly healthy and soothe. Recommended for sensitive skin. Certified 85% Organic. The Nourish range is free from alcohol and avoids use of unfriendly chemicals such as synthetic colours, TEA, DEA, parabens, phenoxyetol, sulphates, mineral oils, PEGS and silicones. Directions for use: Apply a small amount to fingertip, dot evenly over the face and neck, then lightly smooth over the skin. 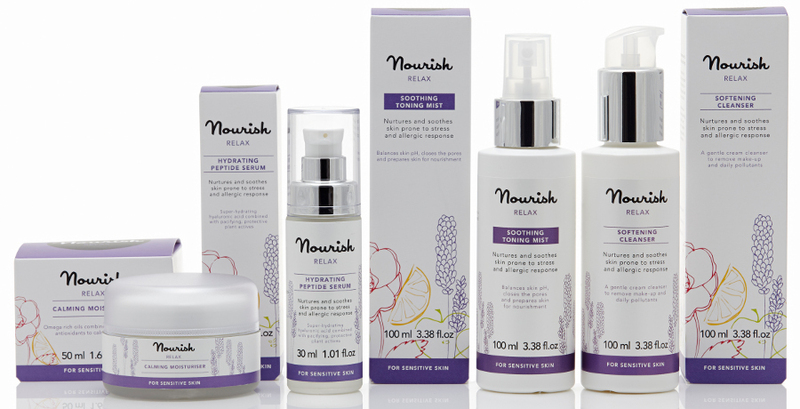 Nourish Relax: This range is designed for sensitive skin prone to stress and allergic reaction in need of calming. Enhanced with soothing Lavender Oil, Nourish Relax is like a deep breath for skin, leaving it refreshed, relieved and ready to face the day. This range is formulated with soothing Shea Butter, Argan Oil and a calming blend of Bisabolol and Ginger, which have strong anti-inflammatory properties. Enriched with Omega 3, 6 & 9 to stimulate the elastin production and restore the protective barrier so skin appears plumped and flexible. The superhero ingredient, carrot is rich in the antioxidant beta-carotene which helps the skin resist the damaging effects sensitivity can unleash resulting in reaction, inflammation and redness. Aqua (water), Daucus sativa (carrot) root powder, Glycerin, Palmitoyl tripeptide-5, Coco glucoside, Xanthan gum, Lavandula angustifolia (lavender) oil*, Sodium levulinate, Levulinic acid, Potassium sorbate, Sodium hyaluronate, Bisabolol, Zingiber officinale (ginger) root extract, Courmarin, Geraniol, Limonene, Linalool. *Certified organic. Naturally present in essential oils. 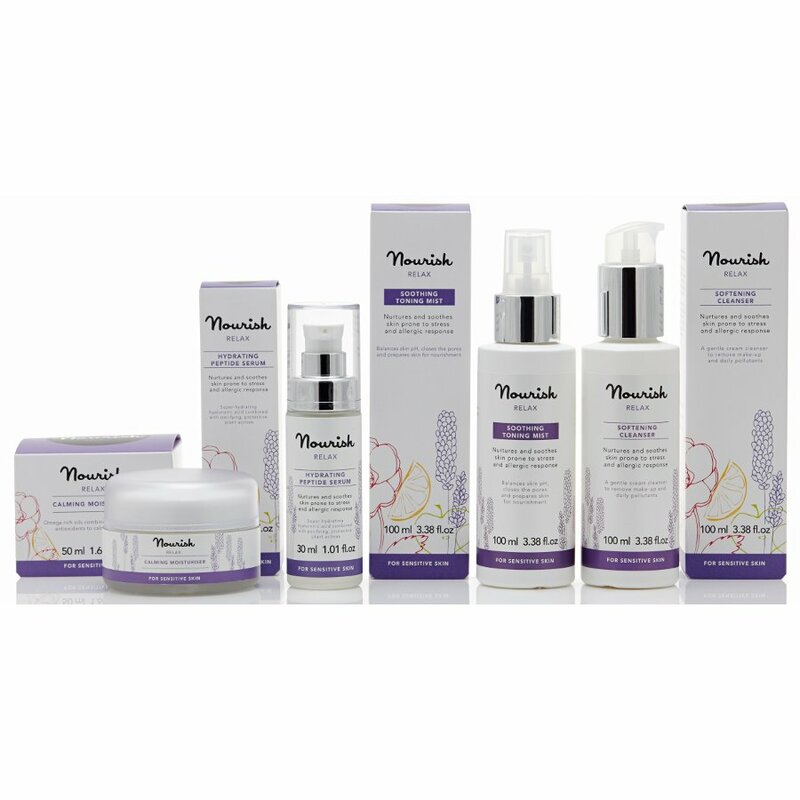 There are currently no questions to display about Nourish London Relax Hydrating Lavender Peptide Serum 30ml.